Jessica Kaiser is an acclaimed soloist and has performed with orchestras in concert halls around the world, from the well-known Herkulessaal der Residenz in Munich, Germany, to Franz Liszt Academy of Music in Budapest, Hungary and Baku Philharmonic Hall in Aserbaijan. Further highlights of her career were appearances at music festivals and concert series all over Germany and Europe to South America and Asia. She was also featured in several radio and TV broadcasts in Germany and abroad. She succeeded at various international competitions, e.g. at the Budapest International Guitar Competition (2017, Special Prize), the Anna Amalia Competition in Weimar (2009, First Prize) and the Andres Segovia Competition in Velbert (2011, Second Prize). 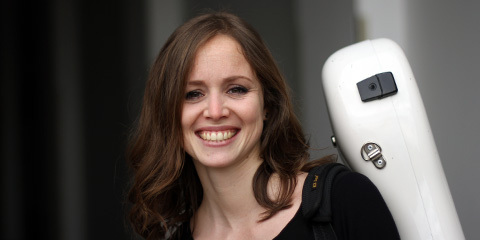 A passionate chamber musician, Jessica is collaborating with some of Germany’s most influential musicians, including soloists of the SWR Symphony Orchestra. 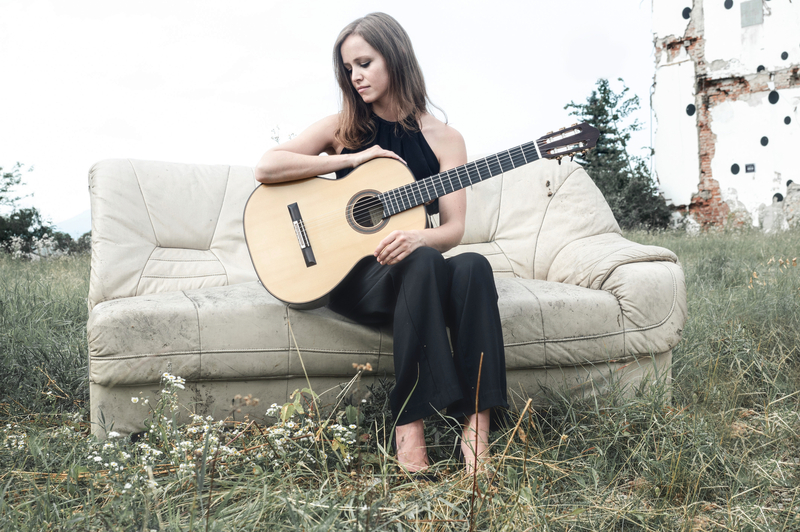 For instance, her longstanding and close musical partnership with Jakob Schmidt constituting the KAISER SCHMIDT Guitar Duo, is an essential element in realizing her musical goals. Together they have been awarded First, Second and Special Prizes at international competitions in Stuttgart (2010) and Schweinfurt (2014). In January 2017 they presented their debut CD with the label AureaVox. 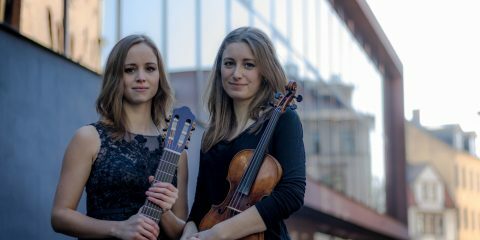 Together with the aspiring violinist Johanna Ruppert, Jessica is regularly performing as Duo Karuna. Since their debut in 2016, concerts have led them to Italy, Austria and Spain. They achieved their first joint success at the 14th International Enrico Mercatali Competition in Gorizia/Italy, where they won the 3rd prize in the chamber music classification 2017. In 2018, they were awarded the 3rd prize at the International Chamber Music Competition in Braga, Portugal, as well as the 1st prize at the North International Music Competition. Jessica started her musical studies at the early age of 4. As a result of her consistent achievements with her former teacher Stefan Schmidt, she went on to study with Thomas Müller-Pering at the Franz Liszt School of Music in Weimar from 2011. In 2015, her Master studies led her at the University of Music and Performing Arts, Graz, where she enjoyed the mentorship of Paolo Pegoraro. Jessica is currently refining her skills while pursuing a soloist diploma at the Franz Liszt School of Music in Weimar. Since October 2018, she is also pursuing her doctoral studies at the Artistic Doctoral School of the University of Music and Performing Arts, Graz. Jessica has been awarded grants by the charity Yehudi Menuhin Live Music Now (since 2010), the Rotary Club (2010), the Neue Liszt Stiftung Weimar (2015) and the DAAD (2016/2017) and received the award for the advancement of the arts, granted by the city of Augsburg (2016). Jessica is a D'Addario Artist since 2018.